How do you plan an Orlando trip that everyone will love and yet won’t leave you feeling as if you’ve had an overdose of rides, character breakfasts and expensive souvenir shops? We’ve got some wonderful alternatives designed to give you and your family a breather from the theme park crowds, lines and general craziness. Orlando Shakespeare Theater ~ for classic, contemporary and children’s plays. 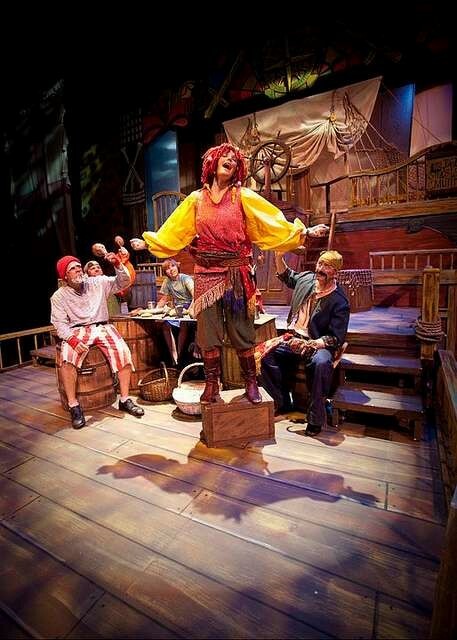 Orlando Repertory Theatre ~ for family audiences, with productions like Geronimo Stilton: Mouse in Space, Curious George: The Golden Meatball and Nancy Drew and Her Biggest Case Ever. Another place you’ll find a fun variety of things to do with the family is downtown’s Lake Eola Park. Take a leisurely stroll and see unique, beautiful sculptures along the way. You can download a walking tour pamphlet for a map and description of these outdoor works of art. 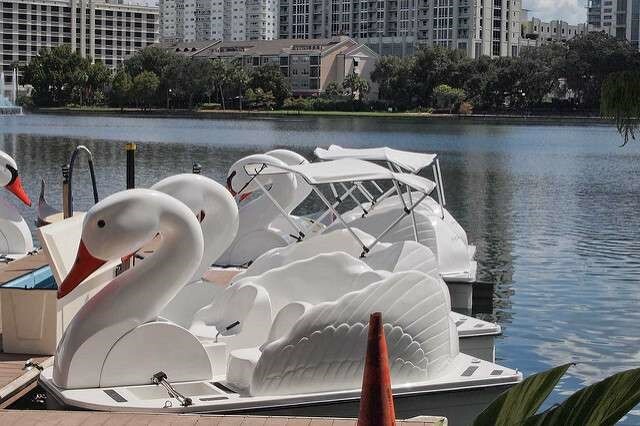 The park is also home to one of Central Florida’s best farmer’s markets, paddle boats for rental, outdoor movies, concerts & festivals, and Walt Disney Amphitheater. 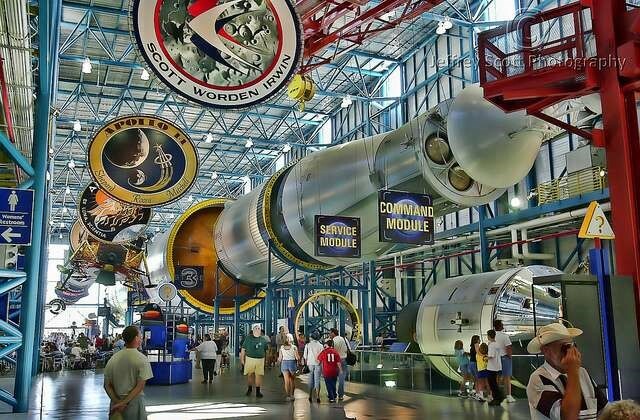 Kennedy Space Center ~ At less than an hour east of Orlando, this is a very doable day trip. The Kennedy Space Center Visitor Complex is organized into Mission Zones that group attractions and experiences into specific periods of time and achievements. Kennedy Space Center Visitor Complex also offers the closest public viewing of launches from Kennedy Space Center and Cape Canaveral Air Force Station. Check their to see if a launch may be happening during your Orlando visit. Or, if you really love the idea of seeing a rocket launch live, use it to plan your Orlando trip dates. ~ Head here for an indoor break from the sun while you explore four floors of exhibits, giant screen movies and live programming. 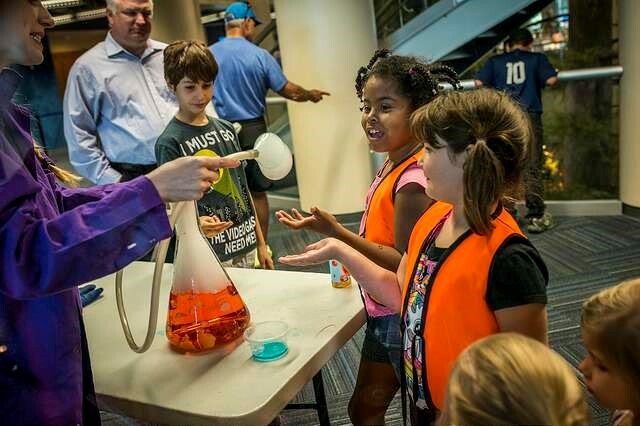 Exhibits include topics like dinosaurs, our planet, physics & kinetics and KidsTown, an interactive exhibit designed for younger children. Let’s face it — it’s just too easy to pull out a credit card when you’re on vacation. And, unfortunately, it’s also easy to let a bigger statement balance linger (or grow) once you get home. That’s never a good idea, but especially now with interest rates on variable rate cards likely to increase in the coming year. Then there’s the hope that a tax refund can help pay for a spring or summer trip. But, here’s what usually happens with that — either your refund isn’t as much as you hoped, or those dollars are already spoken for with another planned purchase or bill you may have overlooked. What’s the best answer? Check out a LendingPoint loan and see how much you qualify for. Our personal loans can be a smart way to finance travel. The online application is quick and easy and you could have travel funds deposited in your vacation account as quickly as within one business day after completing our approval process. Mickey, Harry, the princesses and a fabulous time in other can’t-be-beat Orlando destinations await!